Columbia Place condos are located at 655 Columbia St. & 620 State in San Diego. If you are looking for a condo in the downtown Marina District of San Diego then Columbia Place maybe the place for you. 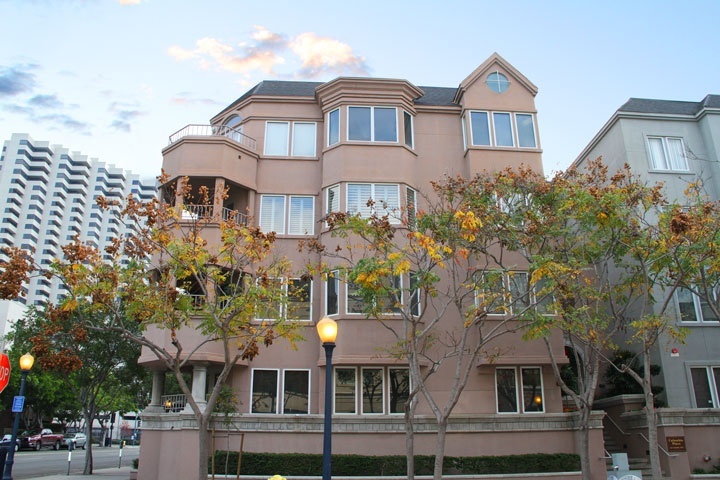 Columbia Place is an ideal downtown location in the Marina District with four stories and 103 units in the building. It's located just minutes from the Gaslamp District, Petco ballpark, Seaport Village and great restaurants and entertainment. Homeowners association dues run $415.00 a month which includes the following amenities: secure gated entrances, fitness & business center, spa and outdoor entertainment area. Below are the current Columbia Place downtown San Diego condos for sale. If you are looking for a downtown San Diego condo for rent please visit our San Diego rentals page. We also provide all sold Columbia Place condo sales at our San Diego Sold Search. All Columbia Place condos for sale are also listed below. Questions? Let our team of San Diego Realtor Associates help you. Please contact us at 1-888-990-7111 today.